The Berry Schools tell Mrs. Taylor about the children in the Log Cabin Sunday School and thanks her for sending Sunday school papers. 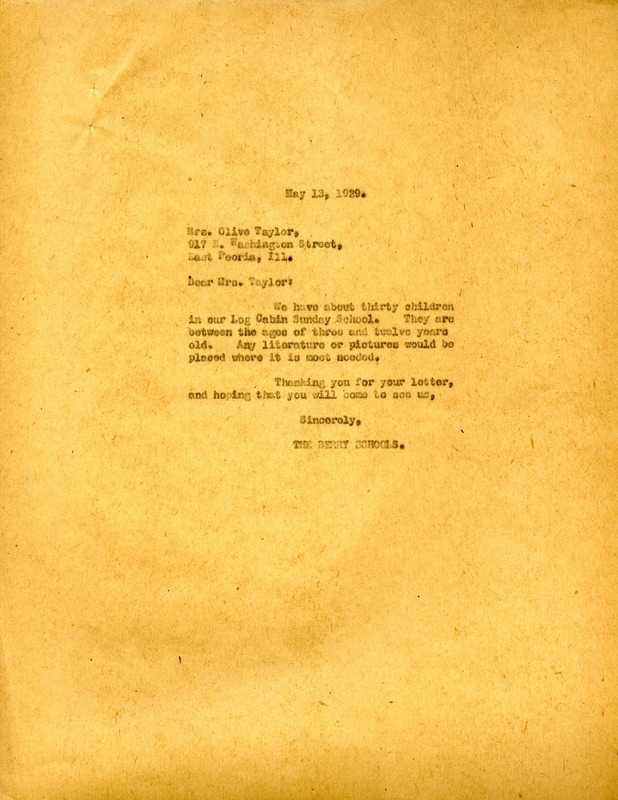 The Berry Schools, “Letter to Olive Taylor from The Berry Schools.” Martha Berry Digital Archive. Eds. Schlitz, Stephanie A., Chelsea Risley, et al. Mount Berry: Berry College, 2013. accessed April 20, 2019, https://mbda.berry.edu/items/show/11121.